The Challenge Chicane cyclocross tubular tyre is made for out-and-out cyclocross racing, whether you’re just starting out at your local regional cyclocross league or are racing at the top level the Chicane already carries a great reputation within the racing fraternity. With a central file-tread pattern specifically designed for racing in dry conditions this is a fast-rolling tyre that’s perfect for early season racing before the mud arrives. 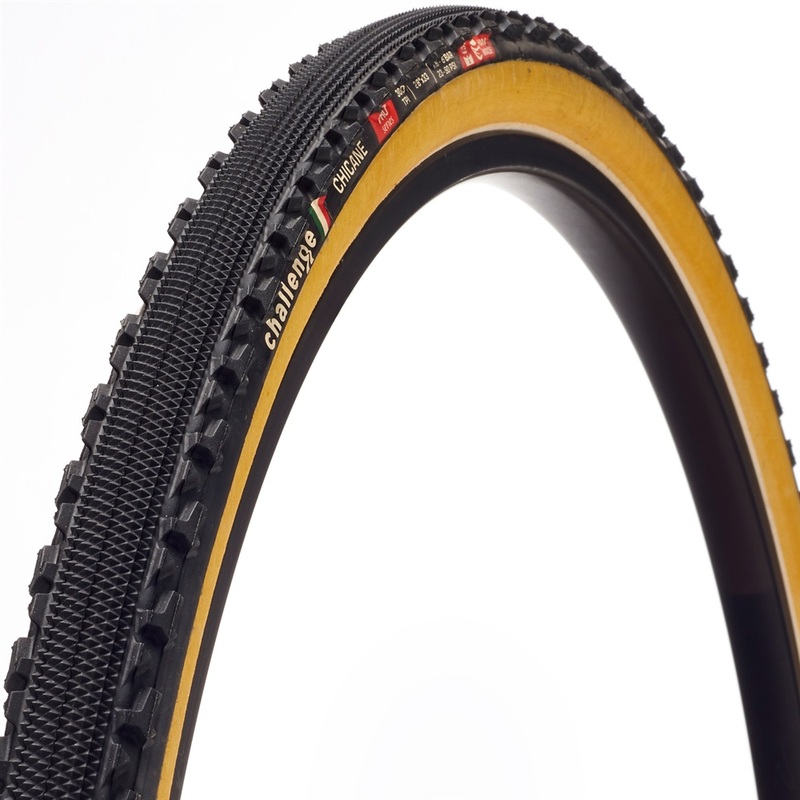 On the outer edges of the tyre the Chicane features a more aggressive tread pattern to help maintain grip on tight turns and off-camber sections; this specialist cyclocross racing tub is 33mm wide, has a tan side wall, a super-poly casing and includes PPS flat protection. Please note: This is a tubular tyre designed to be glued to a tubular wheel.